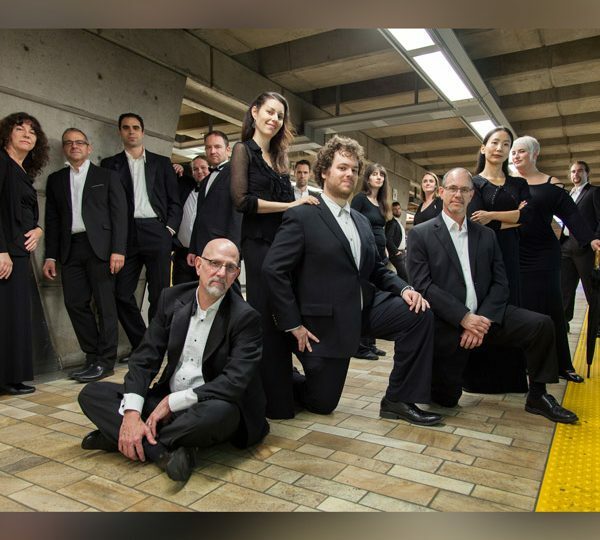 The Choeur de chambre du Québec is an ensemble devoted to premiering vocal works, predominantly in French, including several works by its artistic director, Robert Ingari, as well as others by its member-composers. The goal of the ensemble is to enrich the contribution of the francophone community to the Canadian choral repertoire through its mission to promote the French language with stimulating and diverse programming. Since its creation in 2011, some of the choir’s realisations include a concert at the Weill Recital Hall of Carnegie Hall in New York, invitations from Université de Sherbrooke, Festival Classica, Festival Piopolis, Choralies internationales (Edmonton), Concerts prestiges du Mondial choral Loto-Québec as well as a joint concert with the Chœur Régional Provence-Alpes-Côte d’Azur. Since 2008, Robert Ingari has been a Full Professor at l’Université de Sherbrooke, where he directs the Masters in choral conducting program (Longueuil Campus) and the École d’été de chant choral. As a composer, his works have been performed by university, amateur and professional choirs in Canada, the U.S. and France. In 2014, his Psalm 23 had its French premier at the Conservatoire national supérieur de musique de Paris under the direction of Catherine Simonpietri. And in 2015, he conducted the premier of his choral work Vient le jour with the parisian professional choir Sequenza 9.3 and cellist Henri Demarquette at the Cathédrale Saint-Louis des Invalides in Paris. He has also taught choral conducting masterclasses at the Conservatoire national supérieur musique et danse de Lyon.